I am so loving me some of our new stickers and POCKET PAGES™! I wanted to incorporate a more 'traditional' scrapbook page in my POCKET PAGES™ album, so I used the cards to make a 12x12 layout. I'm just going to mix it in with all my other pages! I love this picture of Chase! This is the day he got the bunnies at his grandmas house. (Click here to read more about Easter Bunny & Joe!) He was so excited to hold them. I love watching him get so much joy from things that I might not notice these days. I appreciate that I can get lost in the moment with him! I like quick projects & this was one! 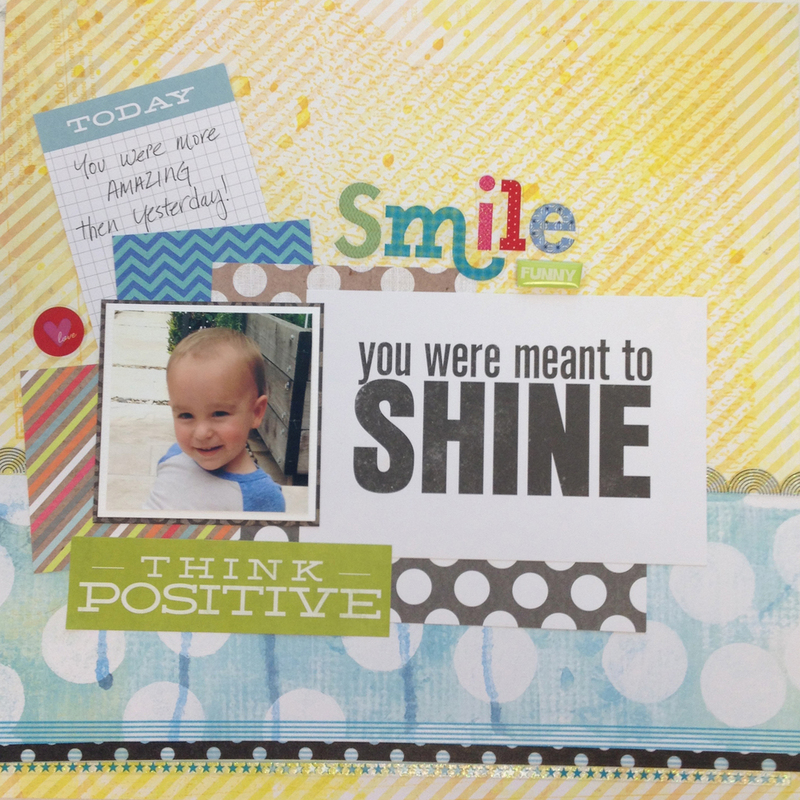 Just layered the patterns, chose a saying, added stickers and did a little journaling. It's SIMPLE. It's FUN. It's DONE! What do you know, the tagline is really true! Let me know if you try one too! I would love to see! I'm going to spend the rest of my night getting ready for our family photo shoot tomorrow...pictures to come!